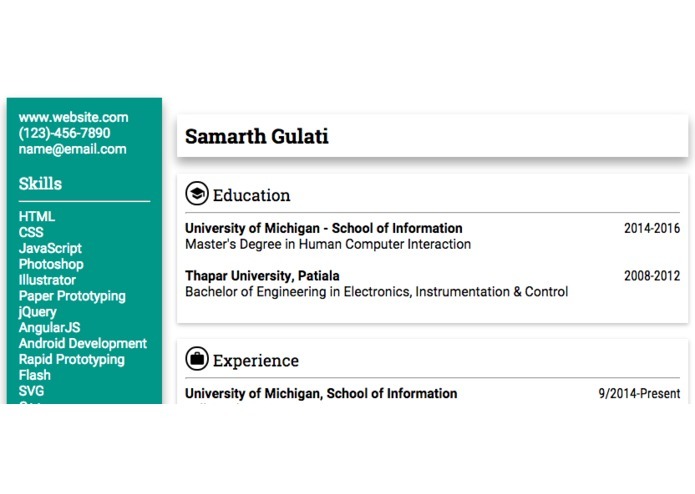 REFR is an online resume generator. You simply login to your LinkedIn profile and it generates a Resume for you in two-column format in Google's Material Design language. You can even change the color of side navigation.